Good morning and a very Happy Thanksgiving to my American friends and family! Hope you are all enjoying a wonderful day with family and friends! 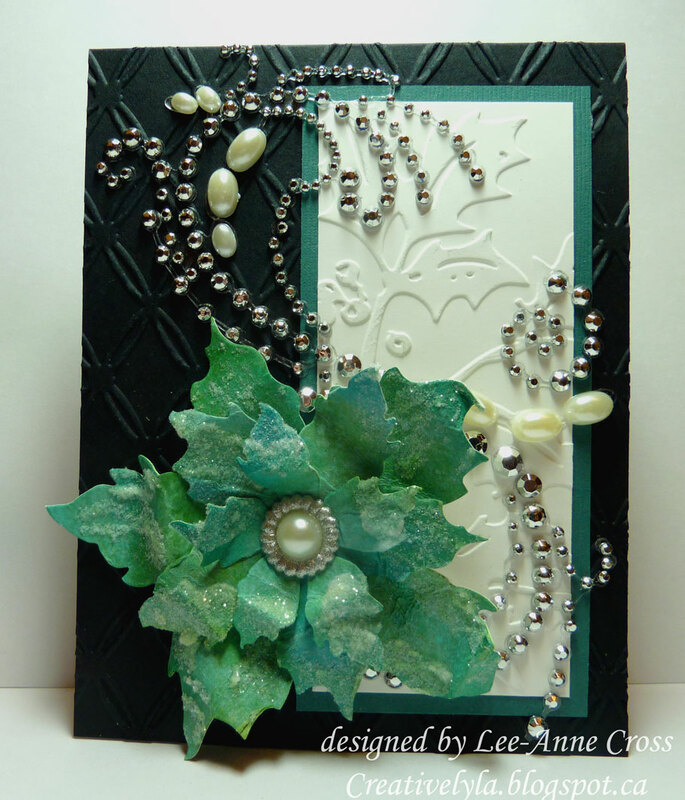 Linda has asked us to create a card in black and white with a pop of color for the Ways to Use It challenge today over at Splitcoast. My card base is a standard A2 size that’s been dry embossed. Layered over that is a piece of teal card stock topped by a piece of white card stock that also has been dry embossed. I added a pearl and silver swirl over top of both layers. My poinsettia has been made by inking and coloring some plain white card stock first with Distress Inks, then some Distress Stains, followed by more Distress Ink. Then I used some Glue n’ Seal and Distress Stickles Dry Glitter for some pizzazz. Gorgeous poinsettia and I'm swooning over the two EF you used. Stunning card and I love your embossing folder! Love the colors in your poinsettia and that gorgeous flourish!